Dress up your tea with candy! Enjoy a sweet version of our Cosmopolitan fruit tea. Steep Cosmopolitan Fruit Tea in 2 cups cold water for 1 or two hours. Place enough candies on wooden skewers to fit across top of glass. Pour tea into glass ¾ full and add a generous scoop of vanilla ice cream. 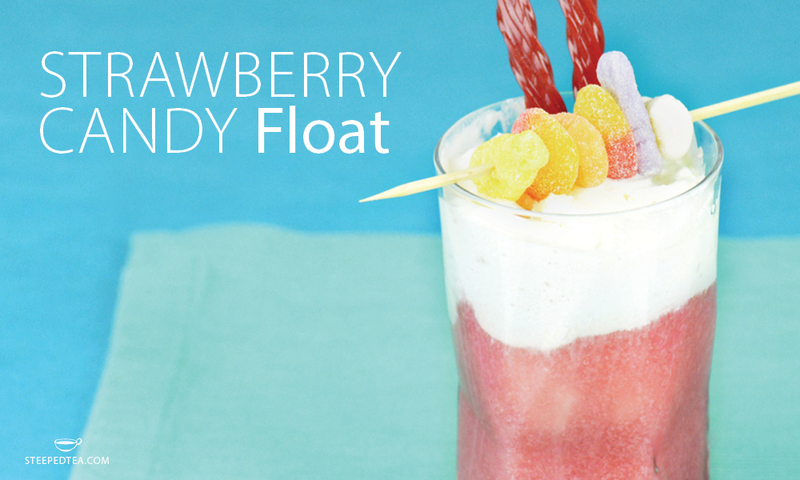 Add candy-covered skewer on top of glass and serve.